We would like to introduce you to our extremely dedicated and profound staff at the Black Forest Veterinary Clinic. Our number one mission is client satisfaction and it clearly shows on the wagging tails and wet noses of our patients. We are dedicated providers of wellness care, preventative medicine, internal medicine, and more. 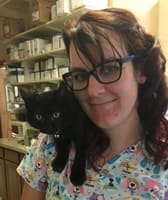 Brittany McDonald is also one of our certified veterinary technicians. She graduated in 2015 although her start in veterinary medicine began long before then. 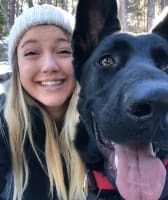 Since passing her national exam, Brittany has developed a very well-rounded skill set but her focus has always been ensuring you and your pets have the best experience. With her calling in leadership she aspires to finish her education and earn the title of certified veterinary practice manager. 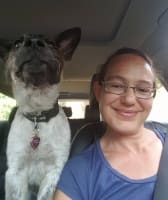 She is a Colorado native and enjoys our beautiful state with her daughter and their dogs, Bartholomew the French Bulldog and Felon the German Shepherd Dog. In her free time, Brittany enjoys either being really active or really laidback. You may find her on a hike or watching a marathon of her favorite TV show. Abigail graduated from West Chester University of Pennsylvania in 2013. She moved from just outside D.C. to Colorado Springs in early 2017. She grew up with all kinds of pets and farm animals which lead to her passion for working with animals. She has 2 guinea pigs named Sheepie and Delta, and a little troublemaker Australian koolie rescue named Kuiper. In her free time, Abigail loves hiking, reading, and kicking back with a hot cup of tea. Amy is a Native, she grew up traveling through the mountains of Colorado. She is extremely passionate and enjoys working at the front desk greeting all of our clients and assisting them with their pet’s needs. Amy enjoys working on cars with her husband and their two boys when she is not working. She has a “Zoo”, as she would say if you asked her, of pets: 3 cats (Inky, Celeste, Dip N/’ Dots), 3 dogs (Winnie, Ophelia, Snickers) and a stunning Giant Macaw, Kima. Kenette has worked at BFVC since 1990. 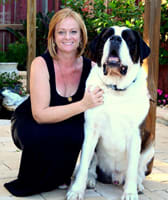 Kenette graduated from Colorado Mountain College, Glenwood Springs Colorado in 1989 as a Certified Veterinary Technician. In addition to training her two rescued horses, Kenette enjoys competing in Dog Agility, Dock Diving, and Hunt Test competitions. 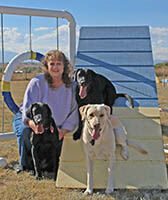 She has qualified for and competed in several National Level events in agility and has earned a Masters Agility Championship with her Yellow Labrador Retriever, Nitro. Kenette loves helping animals recover from illness, live fuller lives and bonding with pets during their time in the hospital. Caring for sick or injured animals, and helping owners care for their pets, is something she truly loves. Robyn was born and raised in the state of Colorado and has lived here her entire life with one year of exchange studies spent in Europe. She currently lives in Colorado Springs with her husband of 15 years, Rob. She has two cats: "Catherine" (16 years old) and "Veronica" (4 years old) and two mixed breed dogs: "Frank" and "Carrie" (both 11 years old). She has been working in the veterinary field for 10 years and is a CVT with Black Forest Veterinary Clinic. 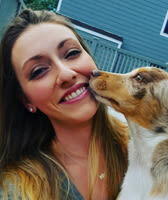 Her hobbies include cooking, crafts, painting, singing, gardening, internet gaming, and spoiling her four-legged children! 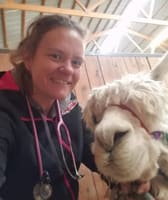 Heather is a credentialed veterinary technician. She was born in England and recently joined our team after her move from Florida in January 2019. She has a gentle touch and treats your pets like her family. She enjoys traveling to spend time with her family, grown kids and furry grandchildren. Georgie grew up traveling around the world. 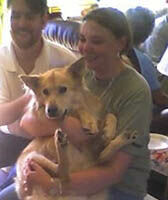 Since she was a little girl, she had an immense love for animals and has shared that with all of our clients at BFVC. Georgie will sit to take her national veterinary technician examination in April to become one of our credentialed veterinary technicians. She absolutely loves anything Duck related and stays active with her pets Colt, Remington, Toothless and Penelope. Erin is a Black Forest local. She will always ensure your pet receives the best care when they visit BFVC. Erin sits for her national veterinary technician examination in March to become one of our credentialed veterinary technicians. When Erin is not at work she enjoys camping & fishing and spending quality time with her fiancé and their children. Nancy was born and raised in Colorado Springs. She is currently enrolled in a online veterinary technician program through Colby Community College in Kansas. She anticipates graduating in the Spring of 2020. She enjoys working with animals, especially with our exotic patients. 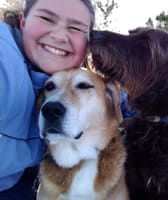 When she is not at work she trains with her bird dog, Braun, and hikes with her Labrador, Chips.